Most of the coins listed below were struck as ‘proofs’ – the exception being the first of the series, the €5 Special Olympics coin. This was a cupro-nickel coin and is available as BU mini-presentation folder. In addition to this, all other coins were struck in either Sterling silver or gold and are issued in special presentation boxes with certificates of authenticity from the Central Bank of Ireland. A proof coin is one struck on a highly polished flan which gives the field a ‘mirror-like’ appearance. The contrast between this polished surface and the raised detail of the coins sometimes gives their designs a ‘frosted’ appearance. This, in addition to the low mintages (limited editions), makes them highly desirable by collectors and they sell at a substantial premium above their bullion value. As such, they cannot be considered ‘bullion’ coins like the 1 oz. coins (silver rounds) sold by major mints around the world to investors. The links (blue underlined text) below display illustrations from my Pinterest coin image repository. The €5 coin is somewhat of an anomaly insofar as it is not a proof coin struck in a precious metal, nor is it part of a BU set, or a coin intended for circulation presented in a BU folder, i.e. 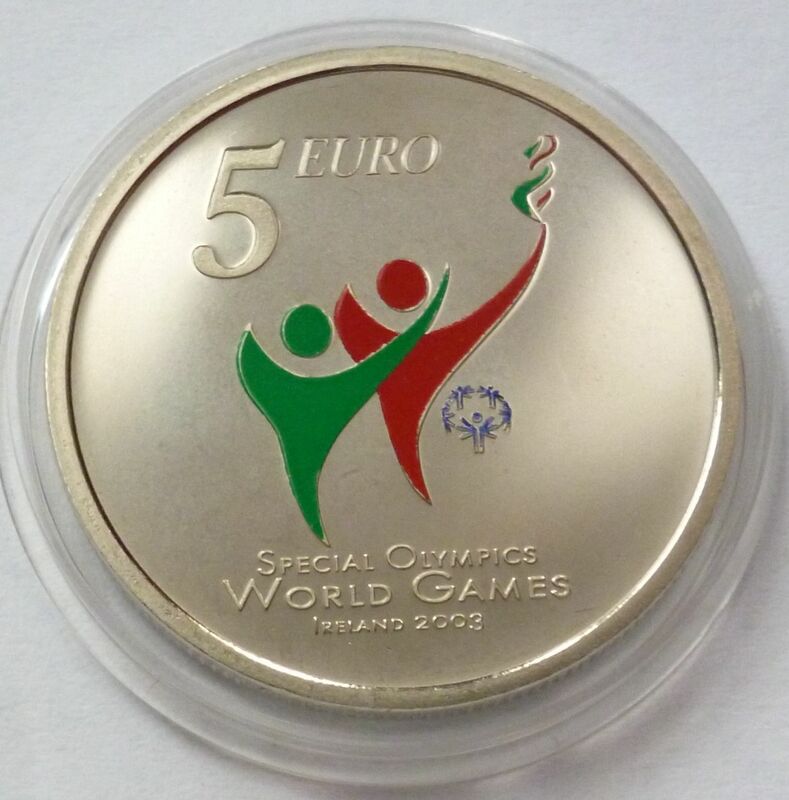 these special €5 commemorative coins never circulated. It did, however, also appear in our second BU set (in 2003) as part of a nine-coin BU set commemorating the Special Olympics. The €15 coin was produced with the permission and co-operation of the Meštrović Foundation in Croatia. 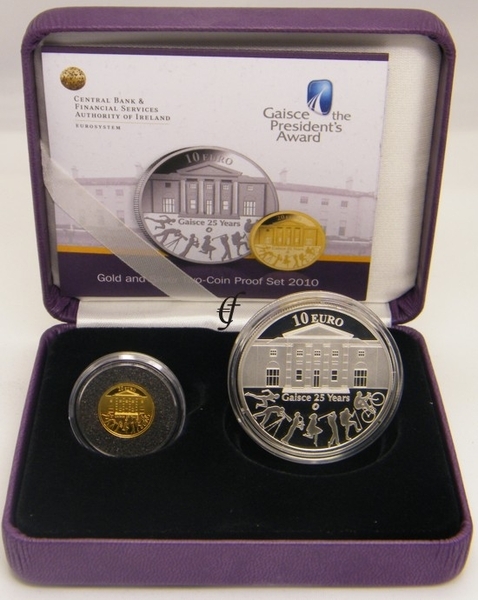 In addition to the 8,000 individual €15 coins issued, a double proof coin set, limited to 2,000 sets, was also issued. The double coin set included the €15 silver proof coin as well as a 150 kuna silver proof coin. This sister coin is identical to the Irish coin except for an inscription in Croatian and the Croatian crest in place of the shamrock. 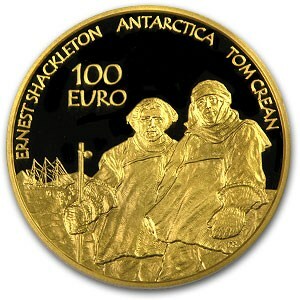 The 2008 €100 gold coin (polar explorers) – the largest (28mm diameter) and heaviest (half ounce) Irish gold coin to date. ← Irish Metal Detectorists: Saints or Sinners?